Created in September 2012, the Rocketry Division develops high-altitude sounding rockets (up to 40 000 ft above ground level) for conducting atmospheric and reduced gravity research. 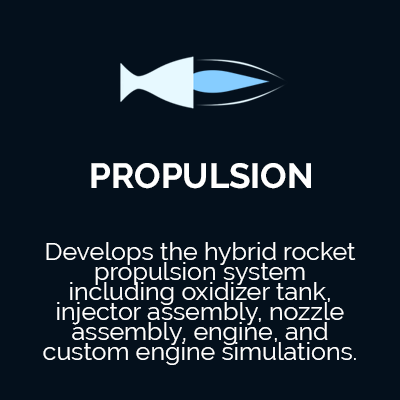 Expertise in hybrid rocket propulsion, airframe design, avionics integration, and payload development characterize Rocketry's technical excellence. Our current goals are to break the Canadian amateur rocketry altitude record and improve the safety and reliability of our hybrid engine testing capabilities by constructing a brand new engine testing facility. ields of propulsion, aerodynamics, avionics, recovery and systems integration. It brings together cutting edge, student designed components like an ablative Fiberglass-Phenolic Compressed-Truncated Ideal Contour nozzle that eliminates internal shockwaves and flow separation, highly-optimized fins to maximize stability and minimize drag, the 7 kilo-Newton engine "Quasar", culminating on 5 years of engine testing and optimization, a lightweight Carbon-Fiber body and a highly redundant recovery system. Deliverance is a hybrid rocket that brings together the refinement of many skills, technologies and applications we developed in our earlier rockets. 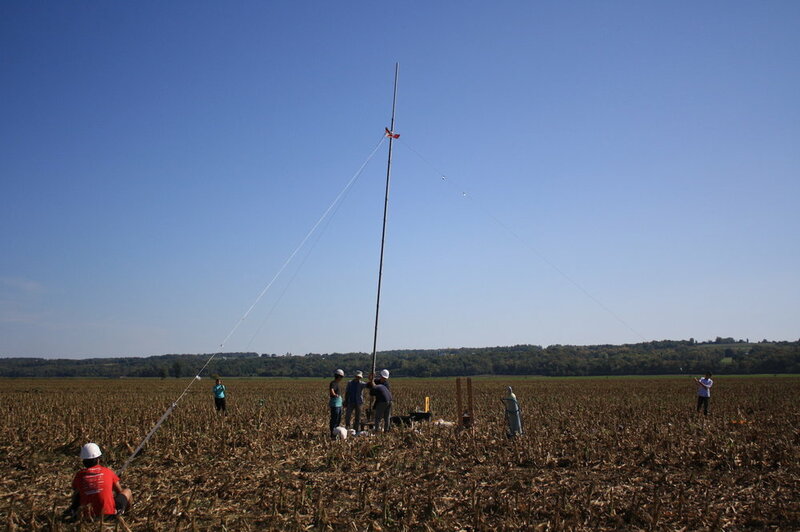 Its is a sounding rocket for high altitude research, and was designed to fly to an altitude of 7.5 km, or 24,600 ft. We successfully launched it in ustate New York in fall 2017. Join us in making history by contributing to our fundraiser below! Fun perks and benefits will be included with each donation.